I was thrilled when Graciellie Designs asked me to be a part of this months blog hop. Graciellie has some amazing new August releases of 6 new digital stamps and a special edition coordinating digital paper pack. 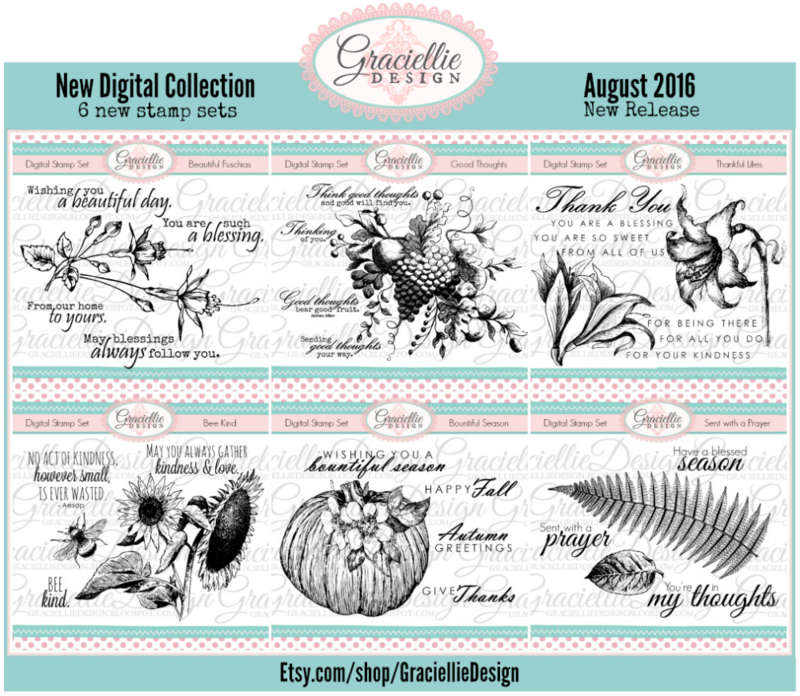 Here is a peek at the gorgeous August designs for Graciellie Designs August Collection. The Special Edition coordinating Black and White digital paper pack allows you to print them using a laser printer and also color them on a computer to whatever color you would like for your project. I selected the "Good Thoughts" digital stamp set to create my card with. 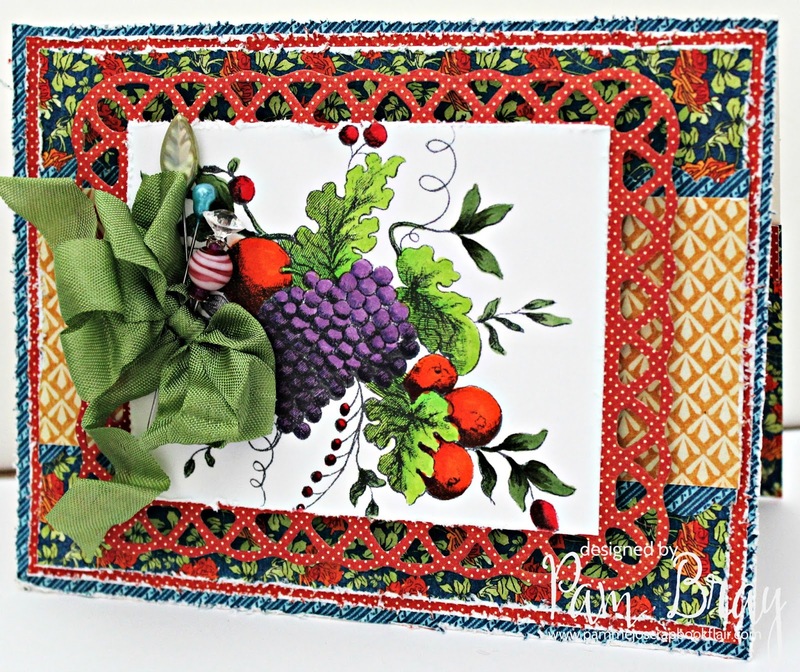 I began by first adding patter paper and scallop border to the inside of my card. Die cut a pretty doily die from pattern paper. Place the doily behind matted paper and sentiment from the "Good Thoughts". Add to inside of card. Distress pattern paper with distress tool. Mat to front of card base. Color digital image from the "Good Thoughts" digital set. Distress edges with distress tool. Adhere to top of die cut frame. Add pretty bow and stick pins to front of prepared card front. I hope you have enjoyed my "Good Thoughts" Card. 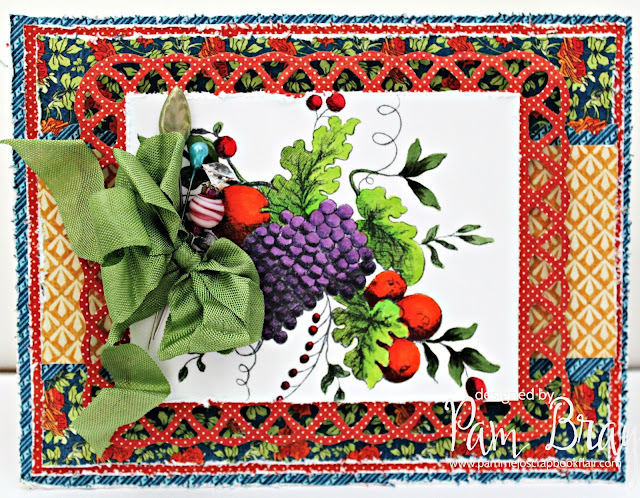 Hop along to the rest of the talented ladies on the Blog Hop. Leave a comment on every stop for a chance to win a new stamp set of your choice and the new Black and White Patterns Digital Paper Pack. To give everyone even more chances to win, this time the hop is ending on Facebook for an extra chance at winning! So, so pretty Pam! Thanks so much for sharing! Love your coloring and layering. Hugs. 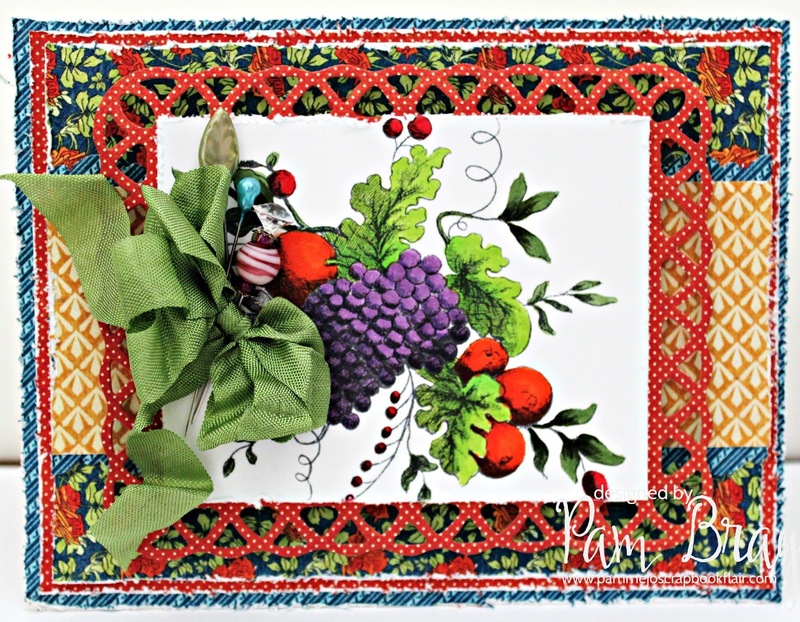 A very colourful Card Pam, and a great use of the digital stamp!